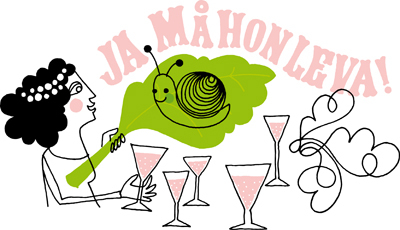 One of the illustrations I made for Mjölkfrämjandet´s web. This one about healthy snacks. 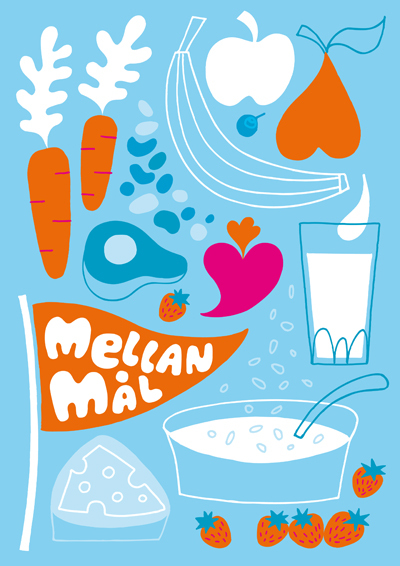 Covers for The Swedish Red Cross’ magazine Henry. I made this design for Coffee Cup thermoses. Article illustrations for ID News, a Volvo B2B magazine. A vignette for the magazine Stockholmsregionen. Icons created for the book Stöka that included one chapter for each month of the year, with examples of activities suitable for every season. I took a course at Capellagården/Öland last summer. Textile design and printing. Here are the results, the blackbird that came to visit us at the coffeebreak in the garden. There were two hot weeks in the workshop. I really enjoyed! Posted in ALL, DESIGN, ILLUSTRATION, PATTERN, PRODUCTS | Comments Off on Blackbird. Screen printed textiles. This is a cover I made for a mailing from my agency. This bee became a sticker. 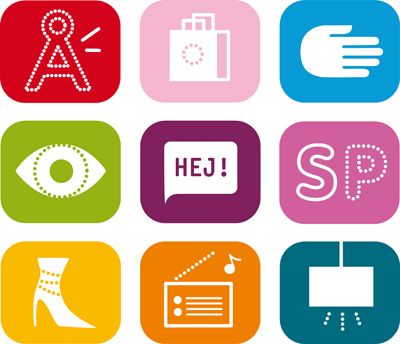 Icons I made for the department store Åhléns. Graphic identity for Profakta, a publishing house with a focus on health information. Illustrations for Säpo’s (Swedish Security Service) annual report. Article illustration for ID News, a Volvo B2B magazine. Some of a number of icons I made for Sting magazine/SLL. About health care. Article about auctions in the interior edition of Elle. Design of two envelopes. For the moment I love making pattern. Pattern for Swedish stationery designers Ordning & Reda. Applied on stationery and in-store campaign. Before school start. A sketch for the members magazine MedMera. About finding more opportunities in life to celebrate. 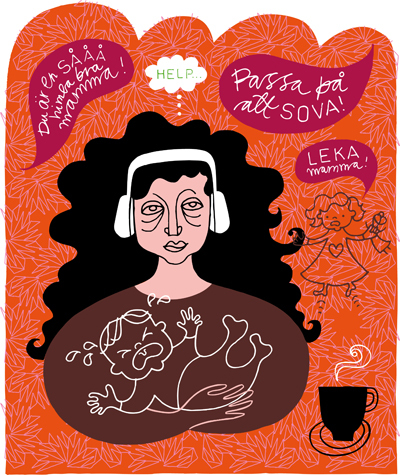 Article illustration in the baby edition of Amelia. One more illustration in the baby edition of Amelia. Article illustration for Akademiska Hus and their magazine Kreativa Rum. Illustration on Abba Seafood’s website. Article illustration for the preschool magazine. About the value words. Icons to be used in print material by all the Church of Sweden’s parishes around the world. In collaboration with Happy F&B. 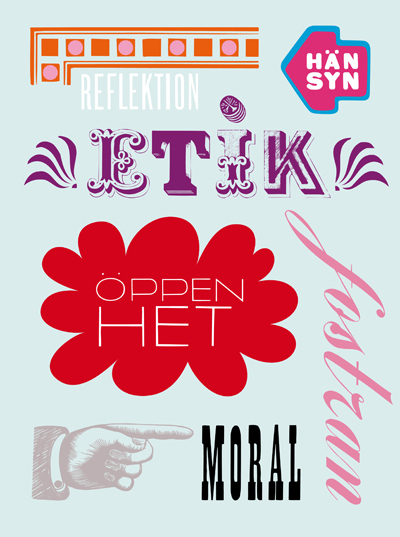 You are currently browsing the Susanne Engman – Illustration & Design blog archives for April, 2009.